We can deliver the next day if the order is placed on our website by 4pm. Our delivery days are Tuesday to Saturday. Our bouquets are beautifully wrapped in tissue and cellophane and placed in a water bubble to keep them perfectly fresh on their journey. They are delivered in a gorgeous green box which is tied with a floppy satin ribbon. A handwritten message card, flower food and care instructions will be enclosed with the bouquet. An order confirmation will be sent to you when your order has been placed online. Please keep this in a safe place as you will need to quote the order number if you have any queries. We can deliver to most UK postcodes but there are exceptions in the highlands and Islands as it can take two days to reach by van and sadly our flowers don't suit that environment. If you would like to send non-perishible items then please call us at 01730 818 300 to order and we can arrange to get these throughout the UK and even abroad (depending on availability). For customers looking to deliver to Isle of Wight we are now able to offer this service, unfortunately we can't offer this online, call our team on 01730 818 300 and they will give you the delivery costs for standard and premium delivery. There is a comments section on the checkout pages which allows you to suggest a suitable place for the courier to leave the flowers if the recipient is not home. The flowers will, by default, be left on the step if possible or with a neighbour. If you would prefer that the flowers are not left on the step or with a neighbour but re-delivered by the courier then please specify this in the comments section. In this case a card will be posted through the letterbox and the recipient will need to telephone the courier depot to arrange for re-delivery. Please note that the courier will not call the recipient to ensure they are at home before delivery. We accept MasterCard, Visa, Switch, Maestro, Solo and Delta cards. Two working days notice prior to the delivery date will be required for cancellations of bouquets and fresh petals. For other non-perishable products we require one working days notice prior to the delivery date. Should you need to cancel an order for any reason please e-mail us using the form in our Contact Us page or telephone us on 01730 818300. If you wish to make any other changes to your order you may do so by e-mailing us using the form in the Contact Us page of our site or by calling us on 01730 818300. Please advise us 24 hours in advance of the delivery date to allow us time to make the changes that you would like. In the unlikely event that your flowers arrive damaged please notify us within 24 hours. We guarantee our bouquets for up to 5 days and send the flowers with care instructions to ensure they are placed in the optimum environment, however if they fail to last for 5 days please do send us an image. We offer a no quibble refund or replacement policy but we do ask for an image so we can look into any issues thoroughly. A majority of hospitals do not accept delivery of flowers, or require very specific delivery instructions. 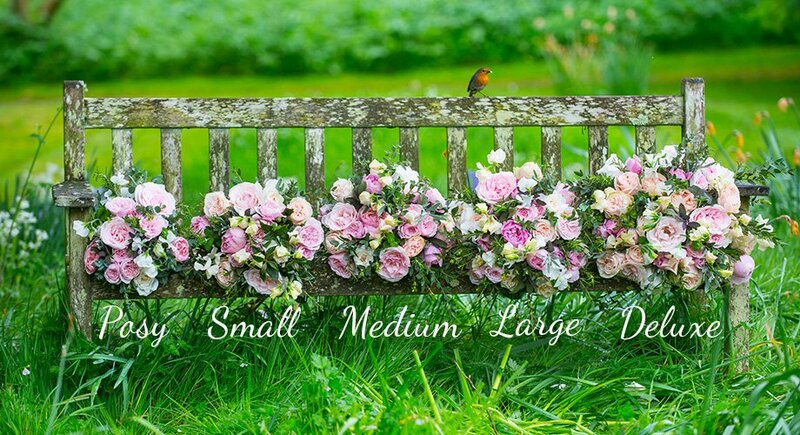 We always advice waiting until the poorly recipient is at home or checking with the hospital before placing an order, as we cannot guarantee delivery to hospitals that do not accept flowers.